Air Caraïbe (www.aircaraibes.com) and LIAT (www.liat.com) connect Guadeloupe with the smaller islands in the group. There are domestic airports on the islands of La Désirade and Marie-Galante. Roads are paved and tend to be in good condition. Drivers do tend to drive fast and tailgating is common. Traffic rules and signage are the same as in France. 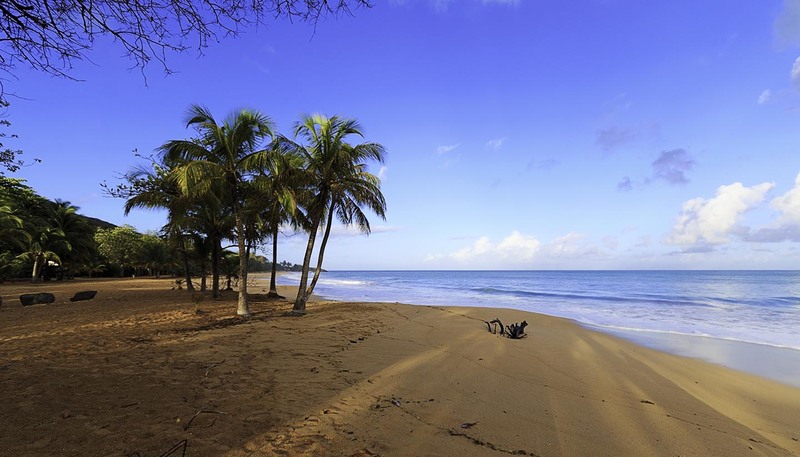 Renting a car is the easiest way to explore Guadeloupe. Most of the major car hire firms are represented, and prices are reasonable. You need a valid passport, driving licence and international driving licence, and a credit card in the name of the principal driver. Drivers must be at least 21 years of age. Most of the larger hotels also offer car hire services. Taxis are available in all the main towns and can also be found outside the airport at most times. Always check the fare with the driver before getting in, and remember that fares are significantly higher between 2100 and 0700 daily and on Sundays and holidays. Cycling is particularly popular on Guadeloupe. Roads tend to be in good condition and drivers tend to give cyclists a wide berth. Guadeloupe has a reasonable bus network, but it is generally the slowest way to get around. Most bus routes start and end in Pointe-à-Pitre. The destination of buses is usually displayed in bus windows. Bus stops have blue signs which depict a bus. For stays of 20 days or less, a valid driving licence is needed. For longer stays, an international driver's permit is necessary. Car hire companies can provide drivers with emergency contact information. L'Express des Iles (www.express-des-iles.com) provides services from Guadeloupe to Martinique, Dominica and St Lucia. It's also one of several ferry companies which connect Basse-Terre and Grande-Terre with the smaller Guadeloupian islands of Les Saintes, Marie-Galante and Désirade. Ferries to les Saintes, Marie-Galante and Désirade depart from Pointe-à-Pitre. Ferries to the Îles des Saintes also depart from Trois-Rivières and there are daily ferries to Marie-Galante and Désirade from Saint-François.